Sign up on Earn Talktime App and Get Free Rs 15 Recharge from Earn Talktime App. In this app, there are more than 50 Offers updates every day. So, whenever you open this app you will get assured offer and get more balance in your Earn Talktime App wallet to do recharge. Earn Talktime App basically give you the free recharges when you do some tasks that You have got to complete it. So, Here are few steps to get free Rs 15 Recharge from Earn Talktime App. 1.You agree to receive OTP for verifying your mobile at the time of registration. Earn Talktime will verify your mobile number by sending OTP (One-time password) to the mobile number provided that will be automatically read by the app upon receiving the OTP message to complete the registration process. 2.You cannot register with multiple mobile numbers from a single mobile device with single email id. Registering from multi-SIM devices from multiple numbers is strictly prohibited. 3.Earn Talktime cannot be used with Android Emulators. All devices are being verified at multiple levels during availing the offers. If found to be used with emulators or any kind of other automated systems, your account for mobile number and device will be permanently locked. 4.Earn Talktime reserves the right to limit Talktime/rewards enrollment at any time. 5.Earn Talktime is under no obligation to provide members with any particular amount of earning opportunities or send messages to them. 6.Currently, Earn Talktime is providing services to India region only, therefore, individuals up to 16 years or older and residing in India may enroll in the Earn Talktime application and become members. Earn Talktime reserves the right to prevent access to its application and its website from the mobile number or IP addresses outside of India. 7.Corporations or other business entities are not eligible to become members. 8.Earn Talktime membership and its right to use is limited to one individual with the single mobile number and associated mobile device. 9.Member agrees to comply with all the terms of Earn Talktime and its advertiser and partner offer, promotions, and programs at all times. 10.Earning Amount & rewards are subject to change at any time without notice. 11.Earned amount will be subtracted from Member's account once the redemption order is placed by the member and captured by the Earn Talktime system. A member who does not login into the app for a period of 30 days on a continuous basis would have their Earn Talktime credit forfeited. 13.In conjunction with recharging earned amount, member agrees to confirm that all information in member's personal profile is up to date and accurate. 14.No member is allowed to use or create fake ID or provide any fake profile information for earning money against mobile recharge. 15.Members are strictly prohibited to uninstall any mobile app to reinstall it through Earn Talktime for earning. Once any mobile app is installed through any channel (via Earn Talktime, through Google Play Store directly or through any other similar program), earned amount rewards cannot be claimed by uninstalling & reinstalling the same mobile app. 16.Member agrees to promptly notify EarnTalktime.com of any change in member's mobile number or address (mail or email) or personal profile by updating his or her personal information in the My Profile section of Earn Talktime mobile app and the Website under My Account. 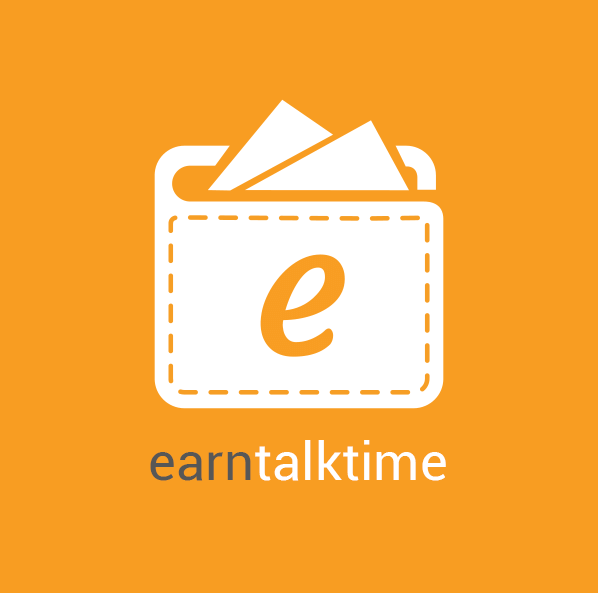 Member's discontinued participation in Earn Talktime or failure to notify EarnTalktime.com of any address (mail or email) or profile changes may result in the termination of member's membership and forfeiture of member's unredeemed amount.